A great day for a hike. This is at the Santa Rosa Plateau. What a beautiful place! I'd love to hike there but only if there were no snakes. This is a beautiful place to hike. It all seems so peaceful and lovely. Great photo. 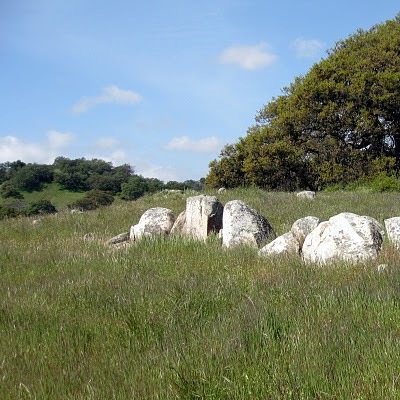 Jan: Really cool capture with the boulders in the field. It is a pretty place for a hike, wonderful photo, Jan! Happy skywatching!